How does a company that started as a simple mom and pop storefront in 1956 build a following of loyal customers from coast to coast, willing to travel miles for a taste of its submarine sandwiches? For starters, it provides a delicious, authentic product that remains true to its origins. Then, it builds a committed franchise system that understands the value of excellence and friendly service. And finally, it never forgets to give back to the communities that support it. That's the story of Jersey Mike's. Jersey Mike's opened 161 new locations in 2016. #1 Fastest Growing Chain three years running in the Nation's Restaurant News Top 100 (2016, 2015, 2014). #1 on the Franchise Times Fast & Serious List (2016). #5 on list of the 25 Best Fast-Food Chains in America (2016) by Business Insider and Restaurant Business. Ranked in: QSR magazine's 2016 The QSR Top 50 (#40), Entrepreneur's 2016 Franchise 500 (#66) and Franchise Times' 2016 Top 200 (#116). Jersey Mike's was voted the best sandwich chain in America, with more than 10,000 votes cast in a 2016 poll by Ranker. Recipient of 2015 CIO 100 Award by CIO magazine and two Hospitality Technology Restaurant Breakthrough Awards, in 2014 and 2012, for the company's single proprietary, fully integrated technology platform. Some say the secret to our success is in the sauce - our signature olive oil blend, red wine vinegar and spices - but we know it's more than that. Our subs are authentic and fresh, served up with a helping of neighborly banter from our dedicated and high-energy team. Now that's a combo that's hard to resist! Jersey Mike's offers authentic fresh sliced/fresh grilled subs served Mike's Way® with the freshest vegetables - onions, lettuce, tomatoes - and there's The Juice - an exquisite zing of red wine vinegar and olive oil blended to perfection. We use only premium meats and cheeses sliced on the spot and piled high on delectable bread that's baked fresh in the restaurants throughout the day. Our Certified Angus Beef top rounds are trimmed, tied and cooked right in the store. Everything is quickly made to order for each customer, just the way the first subs were made at the original Jersey Mike's 60 years ago. We are honored to win best sub awards in virtually every market we enter. Mike's Subs opened as a storefront location in the seaside town of Point Pleasant, N.J. in 1956. It offered unparalleled service and exceptional quality submarine sandwiches, which were a new concept at the time. Because of its location on the Jersey Shore it grew quickly in popularity among the thousands of surf and sun seekers from New York to Philadelphia to Washington, D.C.
By the early 1970s Mike's Subs was a thriving landmark famous for its lively and friendly service and its fresh, quality submarine sandwiches. In 1975, Peter Cancro, a 17-year-old high school senior who had worked for Mike's Subs since he was 14 and loved the business, bought the operation with the help of his football coach. At the time, Peter wasn't even old enough to legally slice a sub. Over the next decade, Peter opened two other local Mike's Subs stores and built on the cult-like following that Mike's Subs already enjoyed. 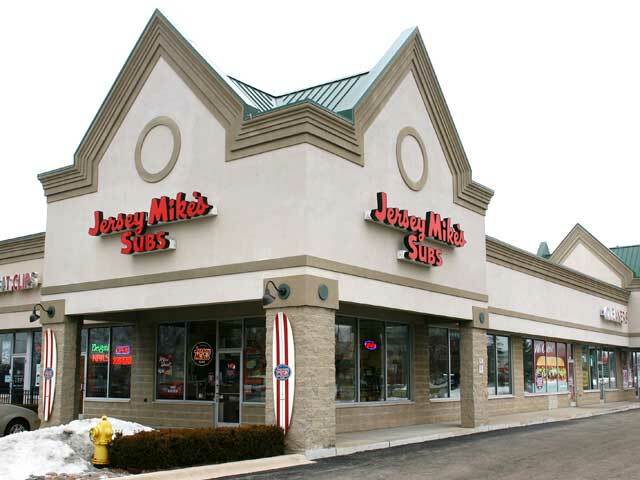 In 1987, Peter began franchising the Mike's concept. He changed the name to Jersey Mike's Subs to capture the authenticity of the original store. Today, Peter is CEO of Jersey Mike's Franchise Systems, Inc., headquartered in Manasquan, NJ. Peter was named the 2013 International Franchise Association's "Entrepreneur of the Year" as well as a 2013 Golden Chain Award Winner by Nation's Restaurant News. 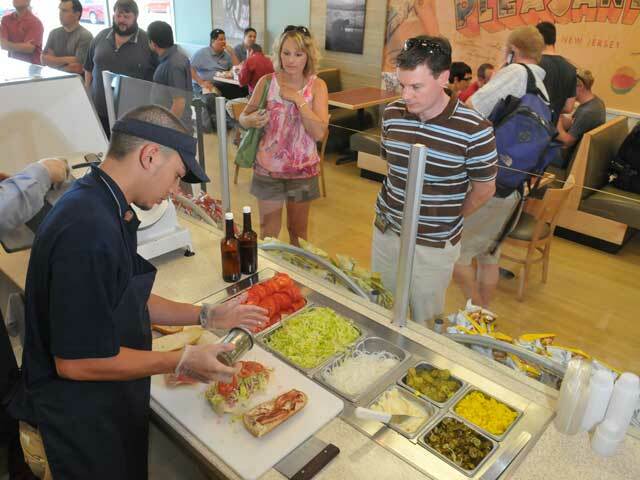 Jersey Mike's Subs continues its steady expansion throughout the country and is now in most major metro areas including Chicago, Manhattan and Washington, DC. With more than 200 restaurants in California and many more on the way throughout the nation, authentic Jersey Mike's subs are now available literally coast to coast. Why Fast Casual and the Sandwich Segment? Today more than ever, people are paying close attention to what they eat. Consumers demand high quality fresh product and expect a pleasant experience. But on-the-go consumers also demand fast service. Fresh and fast is where the Fast Casual segment of the restaurant business has flourished, attracting a quick moving, affluent customer base that has money to spend and demands higher quality than traditional "fast food" or QSR offers. The sandwich segment continues to show strong growth and provides a product with a stronger perception of health and freshness than burgers or fried foods. Among consumers polled for Chicago-based research firm Technomic's Sandwich Consumer Trend Report, 93 percent reported that they eat at least one sandwich each week. The versatility, portability and perceived freshness and value of sandwiches continue to make them among the nations most popular menu items. The top 500 sandwich chains accounted for over $20 billion in sales last year. And the growth of the sandwich segment continues to outpace industry standards. The quality of our product creates a passionate, loyal customer base with solid repeat business. The operation is clean and easy, requiring little equipment investment and very manageable staff sizes. Our comfortable store interiors, fresh product prepared in front of you and friendly banter between customers and crew make this simple concept exciting and vibrant. Our limited menu offerings add to the simplicity of our model, and also strengthen our brand by focusing on what we do best: making fresh, delicious, authentic sub sandwiches. The "Giving" component of the Jersey Mike's brand is as authentic as our subs. As a teenage entrepreneur, Peter Cancro was taught the importance of giving to community causes by other local business people he considered his mentors. From the very beginning, Peter embraced this concept of making a difference and instilled it in his franchise company. Today that giving spirit is alive and well. And it is every bit as much of Jersey Mike's culture as oil and vinegar. Discover how Mike's Way to Profitability can make a difference in your life. Whether you are a first time franchise owner, or a successful multi-unit franchisee looking to add a brand to your portfolio, it's said timing is everything. When it comes to franchise opportunities, timing is equally important. You want an established brand with well-defined systems and a strong customer following. But you also want growth potential. The Jersey Mike's brand is uniquely poised for that growth opportunity. With over 50 years under our belt, our systems are time tested and our customers are passionate about our product and the Jersey Mike's experience. Our growth, however, is just beginning. Territories throughout the country are now available for development. The time is now; the opportunity is right in front of you. Our training program requires three times the hands-on experience than many franchise systems. A robust training program that requires 8-10 weeks of classroom training and in-store experience immediately sets the bar high for operational excellence. Ongoing Back to Basics training, Train the Trainer programs and others crew excellence initiatives help keep the bar high. Our philosophy is simple: more thorough and robust training program, which concentrates on the entire business operation not just product production, makes our stores better prepared to manage their business. 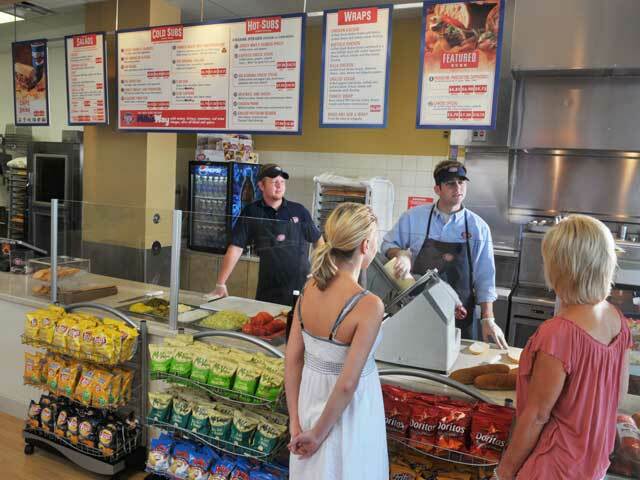 Well trained owners and managers operate better stores and help us protect the Jersey Mike's brand.